Money is tight these days and people can barely pay for themselves, but with so many needs in the world, you cannot ignore the problems. Everyone can do their part just by clicking a few buttons or playing a game. 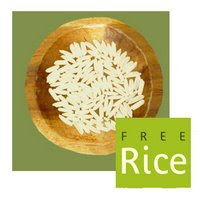 Bionic Beauty did a post on a website called Free Rice. You can learn new words and give food to starving people. Another online charity I learned about was from Tori. You go to the animal rescue site and you click a button for each charity. The charites are animal rescue, hunger, literacy, breast cancer, child health, and the rain forest. It is simple and you really are making a difference. Do your part! Great post Livy! I'm always happy to see bloggers coming together on actions like this. And thank you for the mention. Have a wonderful weekend!